How to get trading signals using Accumulation Distribution Line (ADL)? Blog » Technical Analysis » How to get trading signals using Accumulation Distribution Line (ADL)? Just like in a game of Cricket, a player can really play very well if he understands the psychology of the bowler rather than simply keeping an eye on the ball. In the same way, if we analyze the mentality of buyers and sellers, we will be able to trade more efficiently and effectively in market, than by simply looking at the price. In order to tackle this problem, we should look for volume based indicator which tells us about the pocket of strength and where the big money is actually flowing. When we talk about Volume based indicator, the first name that comes to our mind is Accumulation Distribution Line (ADL). Click here to do NSE Academy Certified Technical Analysis course to learn basics of Technical Analysis and also various trading strategies. Accumulation Distribution Line (ADL) is a volume-based indicator, developed by Marc Chaikin which is designed to measure the cumulative flow of money into and out of a security. Chartists often can use this indicator to know about security’s underlying trend or anticipate reversals when the indicator diverges from the security price. 1. Calculate Money Flow Multiplier.  Read More: How to generate trading signals using Money Flow index and 100 DMA? Also Read: How to generate powerful trading signal using Parabolic SAR and RSI? The Money Flow Multiplier actually fluctuates between +1 and -1. When the close is in the upper half of the high-low range, the multiplier is positive, which indicates that buying pressure is intense and much stronger than selling pressure. On the other hand, when the close is in the lower half of the high-low range, the multiplier is negative, which indicates that selling pressure is stronger than buying pressure. The ADL line falls when the multiplier is negative and rises when the multiplier is positive. How to trade using Accumulation Distribution Line (ADL)? We should look for stocks where the Accumulation Distribution Line (ADL) is above zero. Let’s take an example to understand this. Below is the chart of Aptech ltd., which was trading above zero for quite a long time. After making a fresh high, the stock went into consolidation and gave a little correction as seen from the downtrend resistance. The scenario was very similar as with Accumulation Distribution Line. The break above the resistance line led to massive buying in the stock which was also confirmed by rising MACD line. Chartist also add moving average to Accumulation Distribution Line (ADL) to filter their trades. Moreover, one should not add ADL in isolation, rather it should be used in junction with other technical parameters for confirmed signals. How to generate powerful trading signals using Parabolic SAR and RSI? I am using accumulation distribution line on a 15 min chart. I noted that the trend is up with the line sloping upwards in agreement with price action But during a period of retracement I noted the ADL showed momentarily several sharp downward spiral but then reverted to the upward slope. I believe this is caused by short selling as price went further up. What is your take of my comments. We are an educational institute and hence are not authorized to advise on trading.